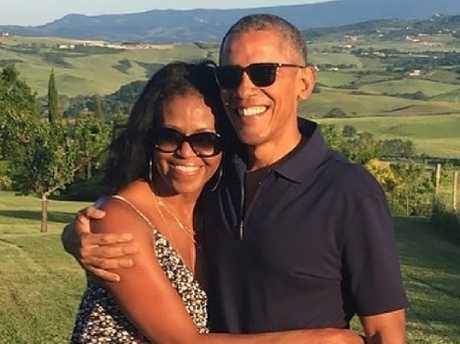 MICHELLE Obama has said she felt "lost and alone" after suffering a miscarriage 20 years ago and underwent in vitro fertilisation to conceive her two daughters. The former first lady revealed in an interview aired on Good Morning America that she felt like she "failed because I didn't know how common miscarriages were because we don't talk about them." "We sit in our own pain, thinking that somehow we're broken." 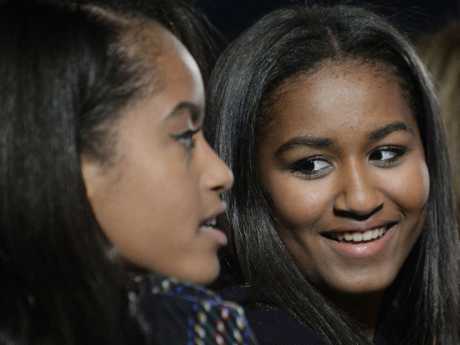 Mrs Obama, 54, said she and former President Barack Obama "had to do IVF" to conceive Sasha and Malia, now 17 and 20, explaining that, because of her age at the time, she was worried about being able to get pregnant naturally. "The biological clock is real," she said. "I realised that when I was 34 or 35 … we had to do IVF." At the time, Mrs Obama did not speak about her miscarriage, or her pregnancy struggles, with many people, a decision that she now admits might have been the wrong one. "I think it is the worst thing that we do as women, sit around and not talk about our bodies," she noted. In her memoir Becoming, set to come out on Tuesday, she writes openly about everything from growing up in Chicago to confronting racism in public life and becoming the country's first black first lady. She also reflects on early struggles in her marriage as her husband began his political career. Mrs Obama also takes particular aim at Donald Trump in the book. She writes in the memoir that Mr Trump's questioning of whether her husband was an American citizen was "crazy and mean-spirited … its underlying bigotry and xenophobia hardly concealed". "What if someone with an unstable mind loaded a gun and drove to Washington? What if that person went looking for our girls?. Mr Trump has long suggested that Mr Obama was not born in the US but on foreign soil - his father was Kenyan. The former president was born in Hawaii. Mr Trump chose not to respond to the former first lady, but told reporters at the White House, "Oh, I guess she wrote a book. She got paid a lot of money to write a book and they always insisted you come up with controversial." Mr Trump instead changed the subject to his predecessor, saying, "I'll never forgive him" for making the country "very unsafe." 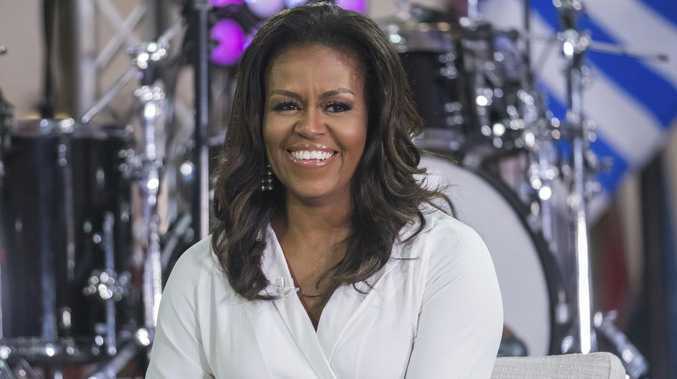 Mrs Obama will launch her book promotional tour in the US on Tuesday not at a bookstore, but at Chicago's United Centre, where tens of thousands of people have purchased tickets - from just under $US30 ($A41) to thousands of dollars - to attend the event moderated by Oprah Winfrey.